TV hit of yesteryear The Saint is to be revived by the writer of ITV thriller Prey. The series was a big audience draw in the 1960s with Sir Roger Moore starring as the fictional detective Simon Templar, created by author Leslie Charteris. Now scriptwriter Chris Lunt, who is drawing acclaim for his TV debut Prey, starring John Simm, has said he is working on a "reboot" of the programme. 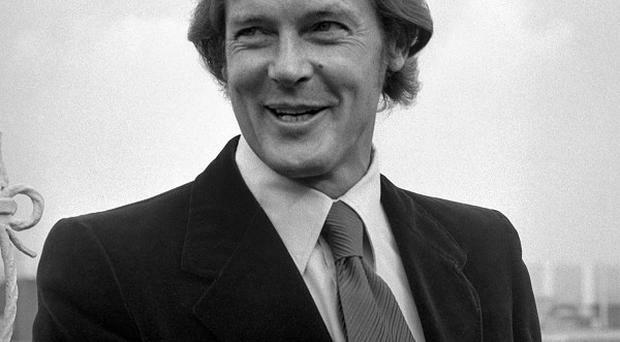 The Saint - which gets its name from the ST initials of the central character - has been revived before with Ian Ogilvy taking the role in a 1970s series, The Return Of The Saint, at a time when Sir Roger had moved on to playing James Bond. Val Kilmer played the lead in a big budget movie version in 1997 although it was not a huge success. Lunt said he is working on the new version with Ed Whitmore, whose credits include Silent Witness and movie Hallam Foe, and they were talking to broadcasters. He said: "I'm doing a reboot of The Saint, just script commissions at the moment, they're not guaranteed to happen but yeah, that's pretty exciting. "I was told by the producer to announce it any chance I got," he said o n Richard Bacon's Radio 5 Live show. He said he was going to Hollywood to work on it, but the producer wanted a "very British feel" to the production. "It would be shot half in the UK and Europe and half globally. It's being produced by this American production company but they are looking for a British broadcaster to become attached so we're pitching it at the moment." A lead actor has not been attached to the show. Lunt said: "I think we need to find a Roger Moore-type character. Maybe someone that we break, but he's got to look big and he's got to look threatening and he's got to look like he could kill you with a tea towel, I think." A pilot episode for a new Saint was made in the US last year but Lunt said it was considered to be "too Americanised" and he said he and Whitmore were "starting again from scratch" with the new version.